Explore the Little River Railtrail, with overnight stays in Lincoln and Little River before cycling back to Christchurch via Tai Tapu. Cycling the quiet country roads of the Canterbury Plains and the Rail Trail, lake views and lots of bird life. Your tour starts with a ride through the Christchurch suburbs to the start of the Little River Railtrail. You’ll stay the night in Lincoln before continuing along the country roads and then back onto the Rail Trail. 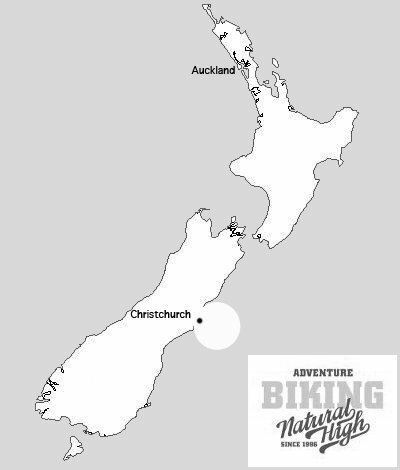 The ride skirts the flanks of ancient volcanoes, hugs the shores of Lake Ellesmere / Te Waihora and Lake Forsyth and ends in the picturesque farming village of Little River. Here there is time for a late lunch before arriving at your accommodation for the night. Little River has walking options or you can just relax before dinner. The final day sees you cycling back along the trail to Motukarara and then the back roads around Tai Tapu then back to Christchurch. Hybrid bike, rear panniers, helmet, computer, map & self guided notes and route information. Upgrade to a Garmin GPS computer for an additional $70. The Garmin is among the best computers on the market and will come pre-loaded with day-to-day route navigation to follow, and with live tracking you can even share your amazing riding experience to your friends and family!